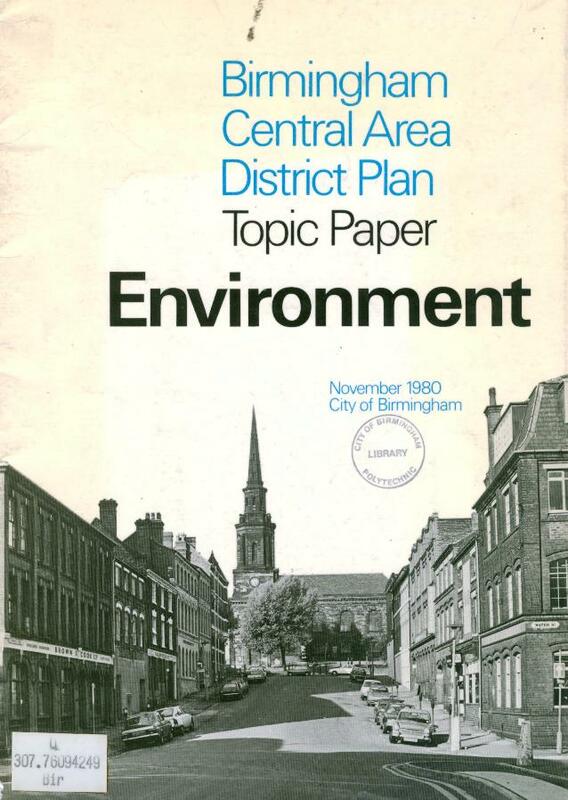 As well as a slightly nerdy interest in trains, as you can see from my previous posts, I’m also moderately interested in city planning, particularly as I’ve lived 37 of my 39 years in a place, Birmingham, that’s ties itself up in knots about planning. 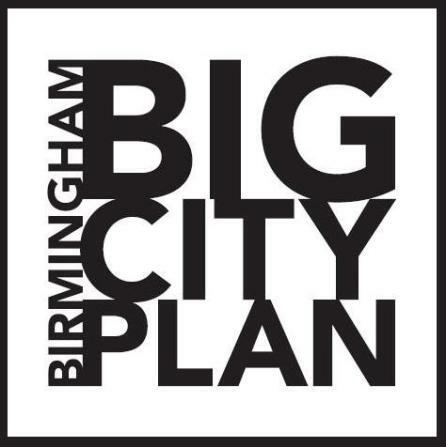 Given that it’s 20 years since the Highbury summit thing that represented the last big shake-up of the city it had been my intention to write about the new Big Cty Plan for Birmingham at Strategy Digested. 1952. 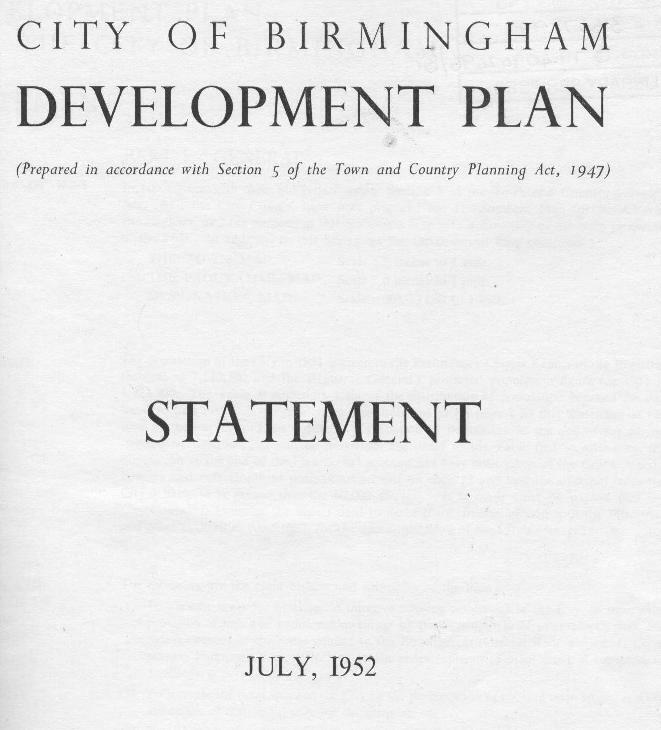 This plan was all about rebuilding Brum after the war: Birmingham is still a bomb site with slums all over the place therefore we need new houses, more schools, more open spaces but also, given the increasing popularity of the motorcar – a great big inner ring road. 1980. 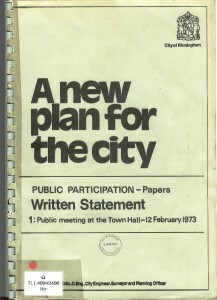 This is the best of the documents in giving a rounded view of what the central area is like and what city planners of the time valued about it. Plenty of stuff on conservation areas and the insensitivity of previous planners. Its big message: maybe that Inner Ring Road was a mistake after all. 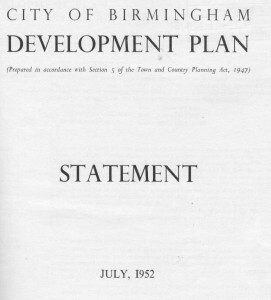 This entry was posted in Birmingham and tagged Birmingham, city, masterplan, planning. Bookmark the permalink. Interesting post Dave. 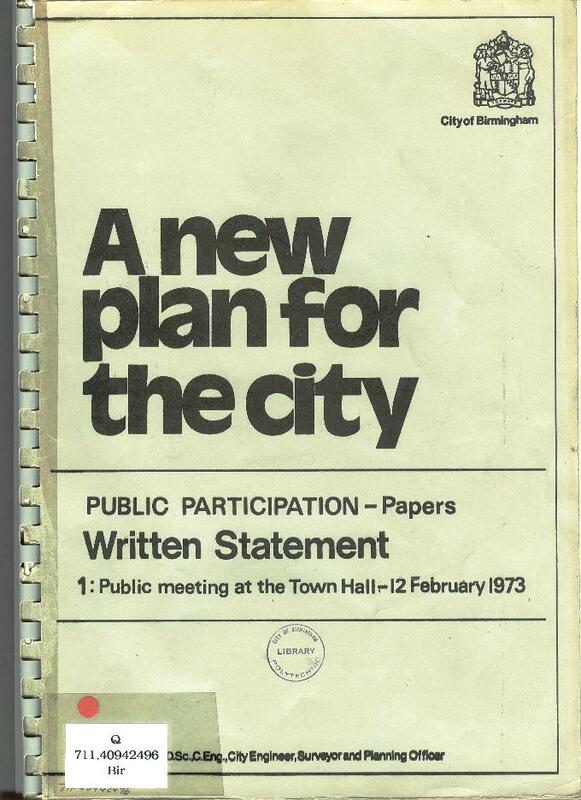 I wrote my dissertation at Uni on the role of Birmingham’s Street Commissoners in the 1800s which was an interesting insight into early town planning. As a history geek I find it fascinating to look back to see if any lessons have been learnt, and more often than not the same themes come up time and again. If my memory serves me correctly, one pre-occupation of the Street Commissioners was to get the Birmingham Town Hall built before Leeds and Manchester. They succeeded, although it managed to bankrupt the architect. I also learnt from the Library’s archives that my distant grandfather was in charge of putting in the sewerage system! Wow – my Brummie heritage only starts in 1961 when my folks came over from Ireland. Yours is highly impressive. After a bit of twitter chat with others I may expand the above for my Birmingham Post blog.